Image of Eric D. Huntsman presenting. Photo by Madeline Mortensen, BYU via KUER. On Saturday, January 26, 2019, the BYU New Testament Commentary committee put on a conference called, “In the Beginning Were the Words: A Closer Look at Key New Testament Terms.” The conference was held in the Gordon B. Hinckley Alumni Center at BYU in Provo, Utah. The free conference was held from 9 AM to 4 PM and featured presentations by many of BYU’s best New Testament scholars. Eric D. Huntsman, Julie M. Smith, John W. Welch, Brent Schmidt, Richard D. Draper, John Gee, Michael D. Rhodes, Brent Schmidt, and Kent Brown all presented on various Greek words and how they are used in the New Testament. They all provided valuable insight into the ancient Greek text of the New Testament, and their presentations will be valuable to anyone seeking to improve their understanding of the New Testament. In addition to illuminating the New Testament, insights gained at this conference can help readers understand the Book of Mormon as well. In his comments on the word disciple, for example, Eric Huntsman noted that the Gospel of John includes many different people under the designation of disciple, rather than simply the Twelve Apostles. Understanding that this was not a word that was specifically reserved for the Twelve Apostles helps to explain why Christ would also refer to key followers in the New World as disciples. Julie M. Smith’s comments on the word way also help explain some things about the Book of Mormon. One of the earliest names for followers of Jesus was “The Way.” This gives further meaning to Christ’s words to the Nephites: “the work shall commence among all the dispersed of my people, with the Father to prepare the way whereby they may come unto me, that they may call on the Father in my name” (3 Nephi 21:27). Christianity, the way, is the means by which the dispersed of Israel will be gathered into the fold of God. The words blessed and happy, as discussed by John W. Welch, shed light on the Beatitudes. The word translated as blessed or happy is used throughout the New Testament, from the Gospel of John, to the book of Acts, to Paul’s epistles to the Romans, Corinthians, and Galatians, as well as in Revelation. Seeing how the word is used in all these places can help us understand the beatitudes in the Book of Mormon in a deeper way. Brent Schmidt discussed how the concept of grace became distorted by the Christian fathers of the third and fourth centuries AD. The New Testament describes grace as a reciprocal relationship between God and believers that was undergirded by covenants. Later, however, it was distorted to become something that depended more on passive belief. This earlier New Testament conception of grace, something that is strongly tied to covenants, is how the term is used in the Book of Mormon, and Schmidt’s presentation helps explain the concept. The passage about charity, or love, found in 1 Corinthians 13, is also found in Moroni 7. Richard D. Draper’s discussion of this divine attribute, comparing its use in Corinthians to how it is used in Matthew 22:40, can help give deeper meaning to how we view God’s love in the scriptures. Although the word scribe never appears in the Book of Mormon, many Book of Mormon characters had scribal training, such as Nephi, Mormon, and others. John Gee’s presentation on the scribes during the time of Jesus and why some of them were at odds with the Savior provides an interesting contrast to the righteous scribes of the Book of Mormon. Michael D. Rhodes comments on the word mystery, a word that is found 28 times in the New Testament. The overall general sense of the word in the New Testament is “secret knowledge revealed by God.” The term occurs 23 times in the Book of Mormon and often has the same meaning. Comparing how the word is used in both the New Testament and the Book of Mormon can help us better understand what it means to receive revelation. Brent Schmidt argues that in the New Testament, the word faith denotes knowledge, faithfulness, trust, and loyalty to covenants, which all involve action on the part of the faithful. Later in the third century AD, faith began to be seen as a passive acceptance the teachings of the church. This earlier concept of faith helps to explain how faith is understood in the Book of Mormon. Interestingly, the Book of Mormon more closely reflects the more ancient understanding of the word faith. In both the New Testament and the Book of Mormon, faith is not a passive acceptance, but an active adherence to God’s commandments. 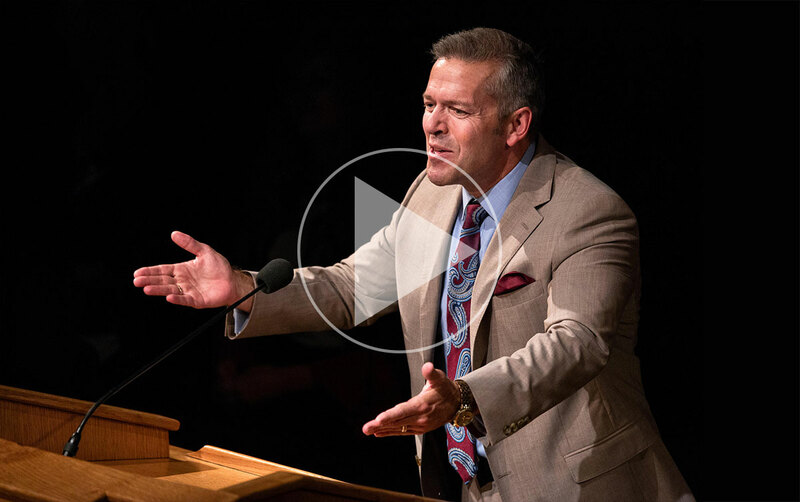 Kent Brown’s presentation on inheritance helps to shed light on both the New Testament and the Book of Mormon. Among early Christians, the concept of inheritance went from being a physical transaction of property to a more spiritual transaction: inheriting a heavenly reward. Although the Book of Mormon often talks about inheritance of land in a physical sense (the word is used 59 times in the Book of Mormon) this additional spiritual understanding undergirds how the word is used in the Book of Mormon. These presentations, discussing these 9 concepts, can help readers understand both the New Testament and the Book of Mormon better, and it is encouraging to see so much excellent content being put online for free to benefit the general membership of the church.